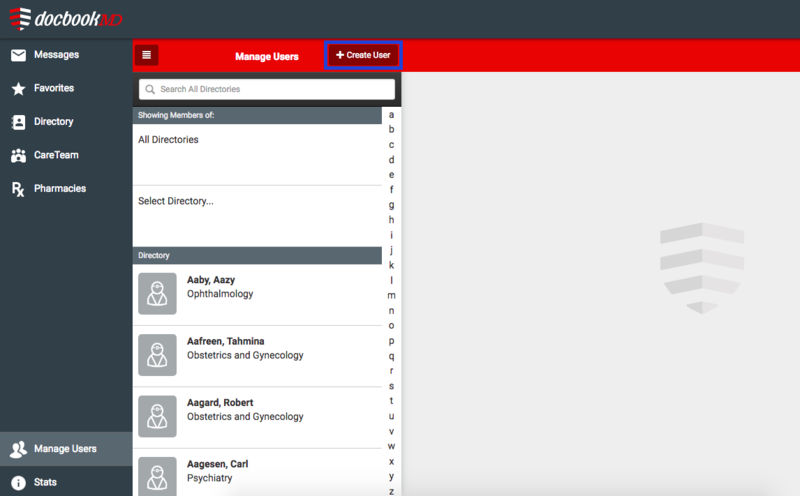 If you have created a DocbookMD Trial, or if you are the Owner or Admin of your account, you will have the ability to Create Users for your Directory. Fill in the necessary information for the user's profile and when finished, choose the Invite to Team button at the top right. The user will receive an email with an invitation to join DocbookMD. If the user missed the invitation email, that's ok! Please ask them to register on their mobile device or a computer.